I woke up this morning to the alarm going off on my phone, as I roll over to hit the snooze my bleary eyes so a push notification from YouTube telling me Warhammer TV has posted a new video, a trailer for Soul Wars. What’s this, my brain asks? My bleary eyes take in the info, then check Warhammer Community to see a news post about a mile long detailing all the million awesome things coming to Age of Sigmar this month. I took part in a ‘Painting Challenge’ this month and used the opportunity to finish out the Crypt Ghouls for my ‘Chamber of the Bloodied Dawn’ Flesh Eater Courts army. 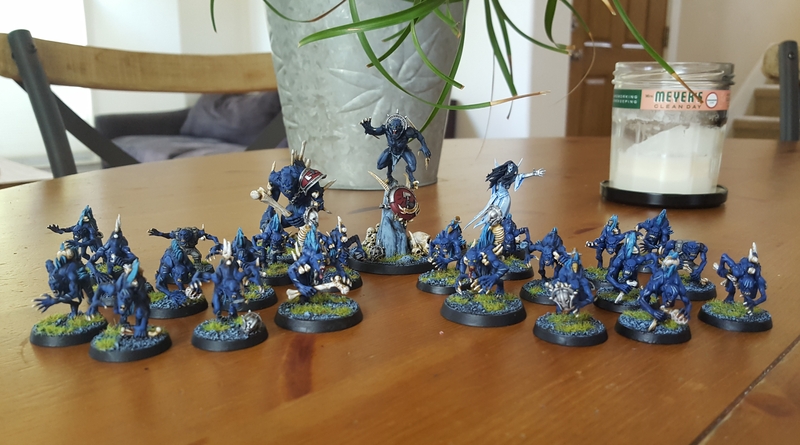 Here are my take away thoughts painting these ghoulies out to a 1000pt army.